Air temperatures were 2 degrees Celsius – 3.6 degrees Fahrenheit – higher than their 1981-to-2010 average in the months between October 2015 and September of 2016, a time period that coincided with a strong El Nino event, NOAA reported. According to the agency, since 1900, temperatures have risen even than that in the Arctic: 3.5 degrees C (6.3 degrees F). All of this means temperatures in the region continue to climb at double the rate of the planet as a whole. In 2016 overall, warm Arctic temperatures led to the second lowest level of Arctic sea ice ever recorded at the summer minimum in September (many individual months saw all-time record lows), the second earliest beginning to the melt season for the Greenland ice sheet, low snow cover, and much else. One of the most watched – and most controversial – aspects of this rapid Arctic change involves the jet stream. 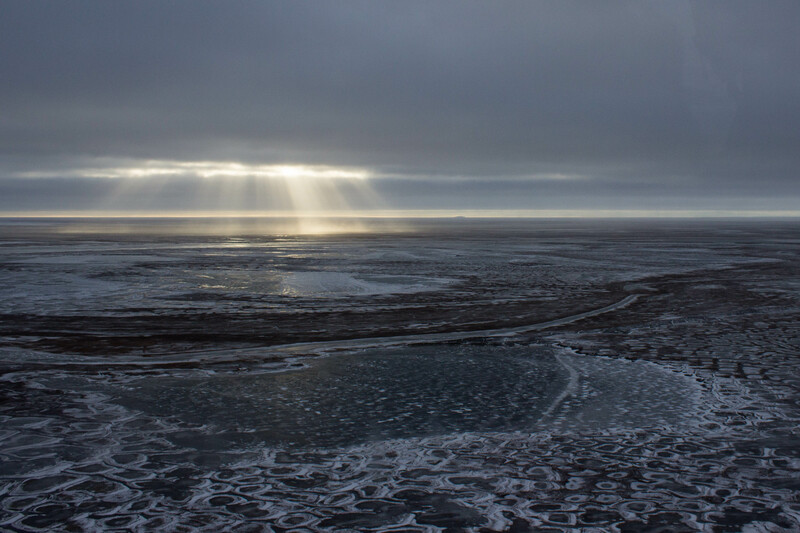 There’s a prominent theory, advanced by Rutgers University’s Jennifer Francis, that the decreasing temperature difference between the Arctic and the mid-latitudes as the Arctic warms is slowing this stratospheric air flow and causing it to take a more elongated and loopy path, which can in turn lead to more weather extremes as weather systems become stuck in place for longer. NOAA isn’t officially endorsing this theory yet, but it is studying it closely, Mathis said. “As the Arctic destabilizes, these cold air masses can start sliding down into the lower 48 that can give us extreme weather,” he said. All of this is happening due to global warming resulting from the buildup of carbon dioxide in the atmosphere. But in the Arctic itself, the NOAA report notes, permafrost soils currently contain twice as much buried carbon as resides in the air. And one of the most striking parts of the NOAA report is that this region “appears to be releasing net carbon to the atmosphere,” even after an increase in plant growth in the Arctic that partially offsets soil losses. The news about the record warm Arctic comes as president-elect Trump has named Rex Tillerson, the chief executive of ExxonMobil, as his secretary of state. As head of the world’s largest private oil company, Tillerson and Exxon “had begun a drilling program in the Arctic’s Kara Sea, where Exxon made a find, and had agreed to explore shale oil areas of West Siberia and deep waters of the Black Sea,” note Steven Mufson and two Washington Post colleagues today. But this was halted by sanctions on Russia. The irony is that if Arctic drilling goes forward, the resulting fossil fuels will surely make global warming even worse – but global warming, by reducing the amount sea ice, will also have also made drilling easier to pull off.